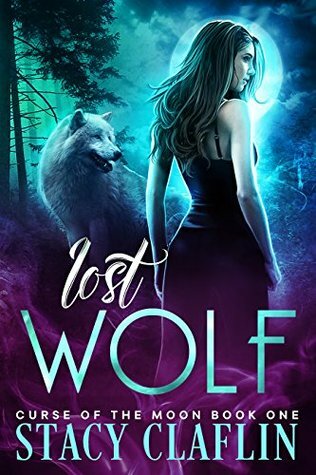 Lost Wolf (Curse of the Moon #1) by Stacy Claflin. 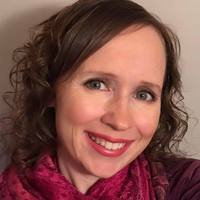 USA Today bestselling author, Stacy Claflin, brings you Lost Wolf, the first book in the Curse of the Moon series. It’s a paranormal romantic suspense saga that features gripping supernatural drama, surprising twists, dynamic characters, and heart-pounding romance. Read Lost Wolf today to satisfy your craving for a fast-paced paranormal tale. Beads of sweat broke out along my hairline. I wiped them away, tightened my ponytail, and ran faster along the dirt trail, jumping over exposed roots and ducking under low-hanging branches. Pine trees, firs, and alders turned my path into more of an obstacle course than a trail. A twig snapped behind me. I glanced back, but didn’t see anything. Probably just a raccoon. My sneaker hit a root and my arms flew in front of me. I landed on my hands and knees, and slid down an incline. Rocks and branches dug into my skin until I crashed into a huckleberry bush. I stood and dusted myself off. Blood dripped from my legs. I pulled twigs, dirt, and small rocks from the cuts. “Nice work, Victoria,” I muttered to myself. Sasha had said I shouldn’t have gone into the forest for my first jog. But having just moved to the beautiful Olympic Peninsula, I wasn’t about to join a club when I had the great outdoors. Birds chirped all around and a stream bubbled nearby. It was like the woods were telling me I’d made the right choice. “Who’s there?” I sounded a lot braver than I felt. My heart thundered against my ribcage and I whipped my head around. My roommates had said the woods were safe, but I was also trusting people who had been strangers only a couple days earlier. Why had I gone into the woods alone? Wasn’t that how half of all horror movies started? I thought of Sasha running on a treadmill, flirting with cute college guys. Maybe she was the smart one. Nothing. The birds had even stopped singing. My pulse drummed in my ears. I fought to breathe normally. A small gray and black wolf stepped out from behind the tree. He made eye contact with me. I didn’t move a muscle, holding its gaze. Sounds like an intreaging story. Looks like a very interesting story. It sounds awesome! I can't wait to read it! This book sounds amazing and looking forward to reading her.